Brandon and I live four hours apart and the initial part of our wedding hunting happened the way most 21st century bride and grooms to be find their wedding venue–online. We both knew that we wanted a location that would allow an outdoor ceremony and reception, a venue with gorgeous scenery and views, and it had to be in the Bay Area. 1. Our first stop was Here Comes the Guide. I picked up a copy of an older edition of the book at Goodwill over a year ago and visited the website on several different occasions prior to getting engaged. Brandon and I double teamed and ransacked the website several ours a week (a week after our engagement) looking for venues, but had limited luck. The majority of the places on HCG were out of our budget. 2. Our next stop was Yelp. 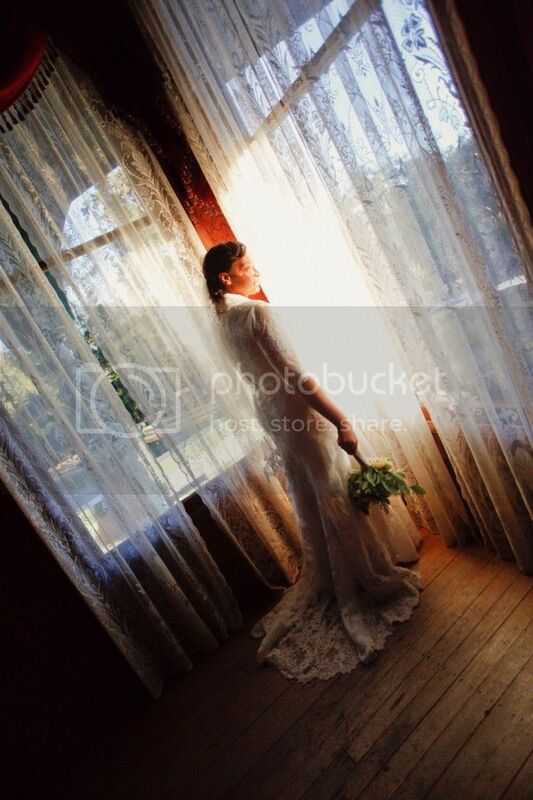 Yelp reviewers have started threads dedicated to different types of venues, and in our case we found a thread entitled “Bay Area Outdoor Wedding Venues”. We added one or two venues from the thread to our list. 3. After Yelp I searched Craigslist for homes that people rented for weddings. However, after searching Google we found out that there were several cons with backyard weddings that we really didn’t want to deal with (parking, noise ordinances, smaller spaces, renting everything). Two weeks after our engagement I made the trek up to San Jose and Brandon and I made our way to Half Moon Bay, San Mateo, Palo Alto, Mountain View, Felton, and Ben Lomond to look at weddings venues. Armed with my bright pink expandable wedding folder, a pen, and a mission, Brandon and I went to all of the wedding venues on our short list and they were all meh. The pictures on the websites were gorgeous, but they conveniently left out things–like a community baseball diamond that sat adjacent to the bridal room, space large enough to fit 20 children, chipped paint on buildings, an RV park to the rear of the ceremony location, creaky tables and chairs, gopher holes in the grass, busy two lane highways, and limited parking. I went back home (admittedly a little disappointed) and continued (and expanded) my online search. I spent my 30 minute lunch hour looking for venues; this meant locking classroom door and breaking the hearts of my students. They couldn’t figure out why I had shunned them! I started looking further North near San Francisco and in Marin County. After looking at Google Maps I made a list of all of the cities within 20-30 miles of San Francisco and started searching for public properties owned by cities. After finding 10-15 public owned properties I started the emailing process. I spent three-four days emailing and calling venues only to find out that nearly all of them were booked solid through November 2012. The list dwindled down to 5 and it was during this moment that I got a little dramatic. I sent a mass text message to a list of friends and frantically asked them to help! Me! Find! A! Wedding! VENUE! I knew that I wouldn’t have time to keep going back up to San Jose because I was scheduled to teach Saturday school for the entire month of March and April; my Saturdays would be booked and if we wanted to have our wedding this fall we would have to find a venue–and quick! One friend, Mieshia, stood up to the plate and while I was at work she somehow uncovered a list of places that slipped placed my roving wedding venue eye and did all of the annoying contact work for me. With her help I was able to calm down and realize that I was making a mountain out of a mole hill. I called up my mom and sister and they both agreed to accompany us on our next wedding venue search. Did we end up getting a wedding venue? We did! You can read more about it in our next post.